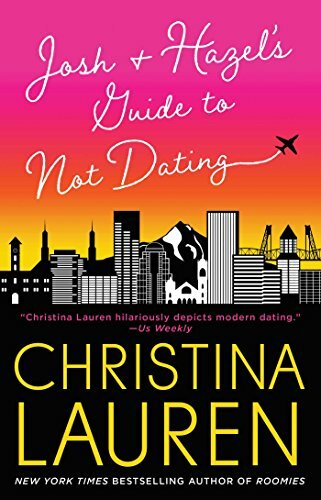 At first glance, Christina Lauren's Josh and Hazel's Guide to Not Dating looks like a grown-up version of Jenny Han's To All the Boys I've Loved Before: a fluffy, high-concept friends-to-lovers romance. Unfortunately, while Lauren's characters are a decade older than the protagonists of Han's YA romance, they're way less mature. Ten years after drunkenly propositioning him in college, Hazel Bradford is delighted to meet Josh Im again. Josh has already seen her at her worst, so she can be her loudest, weirdest self around him, knowing he has firmly placed her in the "undateable" camp. Josh is less enthusiastic about their reunion. He has always viewed Hazel as a walking sideshow, but when a duplicitous girlfriend turns his life upside down, Hazel's total lack of filter starts feeling like a virtue. After drifting into an unexpectedly close friendship, Josh and Hazel decide to start setting one another up on a series of double blind dates. Even if the dates are terrible, at least they can have a good time hanging out together, right? The worst thing about this story is its heroine. Hazel is—and this is me being kind—a piping-hot mess. I'm assuming the author was aiming for “adorably quirky”, but they overshot that mark by a mile. Hazel constantly makes grossly inappropriate, overtly sexual comments. She can't trust herself to remain fully dressed and sober at a work party. Her behavior isn't endearingly unconventional; it's a desperate cry for mental health and/or alcohol counseling. Ten years ago, Hazel might have qualified as a particularly grating example of the manic pixie dream girl trope, but in 2018, she is officially 60% creepy, 40% pathetic.